55 pages and 51 photos plus index with information on the early Quartz mining in Simmons Reef – cost $13 pr $15 including postage. 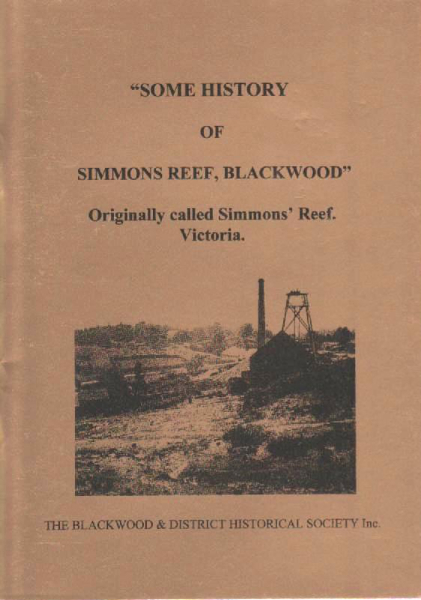 The book gives detailed information on the Quartz mining in Simmons Reef with information on the Mines there and miners who lived in the area and worked in the mines. Also the school, church, Hotels and early pioneers, and the history of the place now called the ‘Garden of St Erth’. This book was compiled by Margot on her computer with 55 pages and 36 photographs in A5 size and it was launched in the Blackwood hall in December 2007.